The Reforming States Group (RSG) began as a bipartisan coalition of elected officials and health policymakers who took the initiative in proposing a state-federal partnership strategy in health reform. 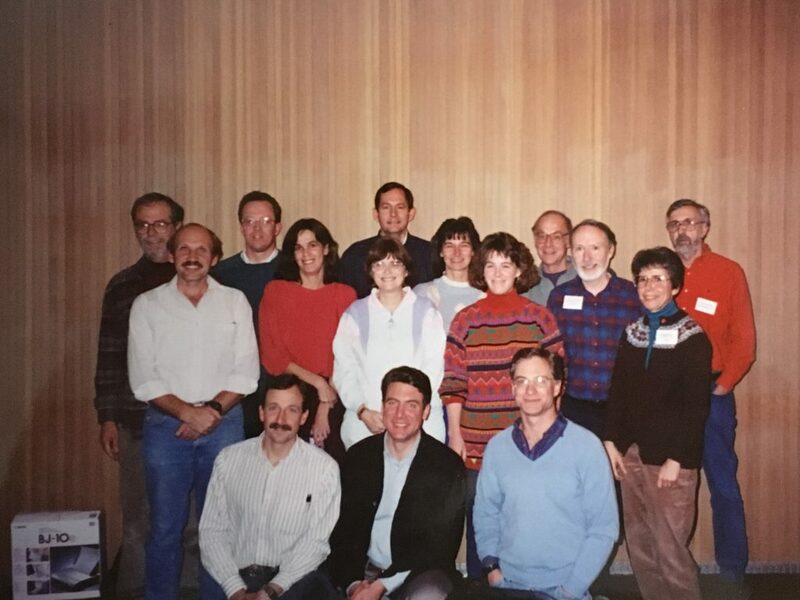 The origin of the RSG was in November 1992, when the Milbank Memorial Fund invited leaders from five states that had already passed significant health reform legislation (Florida, Hawaii, Minnesota, Oregon, and Vermont) to meet at Mount Hood in Oregon. After three days of intense discussion, which dissected and analyzed what had happened in each state, these leaders reached consensus on the essential process steps for achieving success in health reform at the state level. The resulting publication by the Fund, “The States That Could Not Wait,” was widely circulated and used as a guidebook by other states. 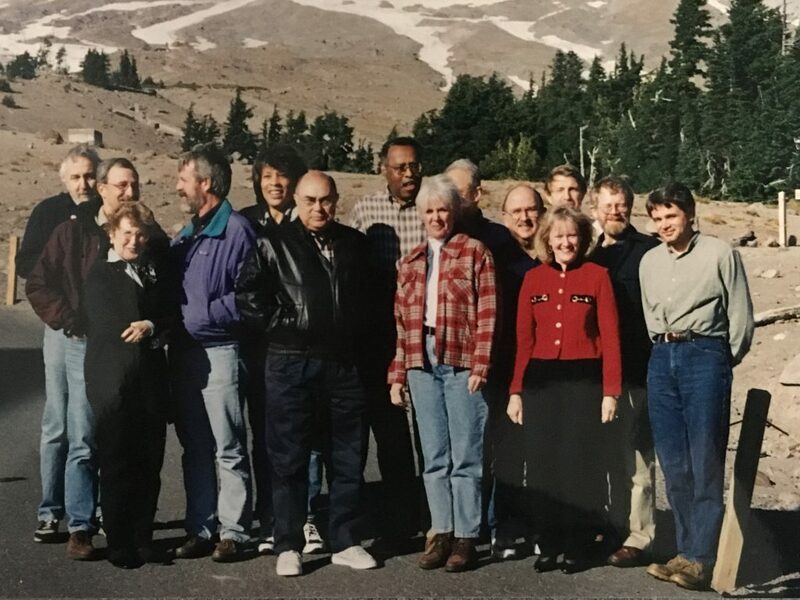 First group meets at Timberline Lodge in November 1992. At the conclusion of the Mount Hood meeting, participants agreed to reach out to other states and to convene another meeting a year later. During 1993, representatives of the group responded to requests to hold informational seminars for legislators and other state officials interested in moving ahead with reform efforts. By December 1993, when the second meeting was held, 14 states were involved. Participants developed a framework and a set of principles for a federalist approach that would offer states the flexibility to design and implement their own specific reform plans. They also formally established a steering committee to coordinate further RSG activities. A second report, “Federalism in Health Reform: Views from the States that Could Not Wait,” presented the results of that meeting. During 1994, the RSG took its message to both the Clinton administration and Congress. RSG members provided up-to-date information on action at the state level and, working with the Corporate Health Care Coalition, developed criteria for state flexibility language in federal health care reform proposals. Meetings were held with staff of key committees and with House and Senate members. The goals were to assist in the legislative process by sharing experiences in passing legislation at the state level, to highlight the importance of state-based efforts, and to advocate giving states the flexibility to continue implementing their reform efforts. 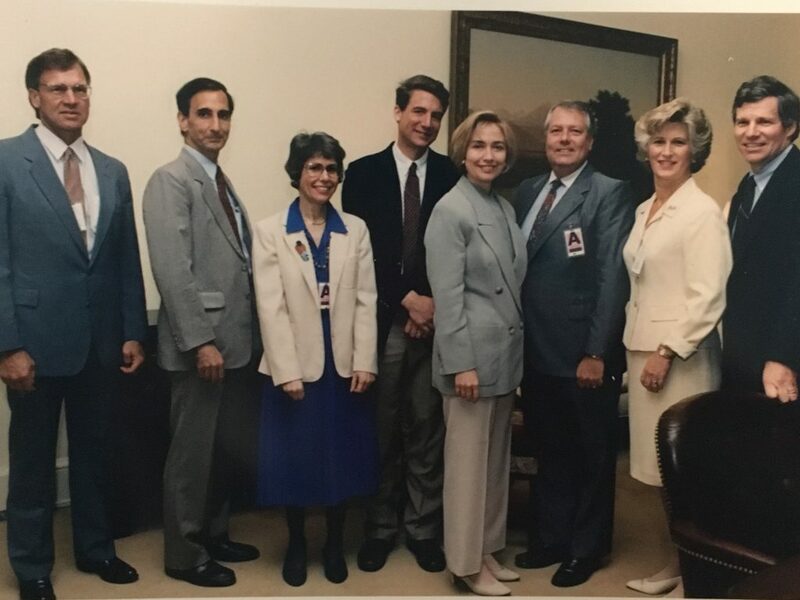 Members of the RSG meet with First Lady Hillary Rodham Clinton, 1994. Convening again at Mount Hood in late September 1994, the group, now consisting of leaders in health reform from 25 states, refined and updated the previous agreement on the essential elements of a federal–state partnership. The resulting document called on the federal government to establish a framework for national reform, granting states flexibility to implement reforms that meet federal requirements. In 1995, the RSG continued to work for this federalist approach to health care reform. The group also undertook three projects closely related to its health care reform objectives. Later that year, the RSG held its first three regional meetings to enable participant states to update each other on health care reform, discuss recent developments in RSG projects, and to encourage further activities at the state level. Over the past 25 years, the RSG has grown to include participants from all 50 states and Washington, DC, as well as from Australia, Canada, England, and Scotland. The RSG and the Fund continue their longstanding partnership—with the Fund providing staff and financial support for meetings, projects, and state-to-state technical assistance. Linda Berglin attended her first meeting in 1992 at Timberline Lodge, Mount Hood, Oregon. At that time, she was chair of the Health Committee and served in the Minnesota Senate, a position she held from 1981 to 2011. She also served on the Human Services Policy and Finance Committees. She then became health policy program manager with Hennepin County, Minnesota. It was a meeting that brought state legislators together to talk about health reform,” she recalls. “I had never done this type of thing before. It was useful to hear what states had done with health reform—and even more helpful to know how they had got health reform to happen. I was amazed at what was going on in a number of other states—at the time, we thought we were the only ones doing this kind of work. MinnesotaCare was just starting. Others were doing similar things. Florida was working on a program for kids. Oregon hadn’t started yet, but their governor had made it a priority to focus on the uninsured. In Minnesota, our health reform was instigated by the legislature—so that made us unique. The RSG remains a way of learning about what other states are doing. Rachel Block worked as a senior health policy staffer in the New York State Assembly for about 10 years in the 80s to early 90s, and then joined the newly created Vermont Health Care Authority as its executive director in 1992. She attended a meeting arranged by the Milbank Memorial Fund in 1991 (before the RSG was the RSG) and was one of the authors of Hard Choices in Hard Times. States became more active in shaping new health care policies during the 1980s. At that time, there were not too many ways to share information across state lines, let alone between program areas (for instance, insurance and Medicaid) or between the legislative and executive branches. With effort, you could track down information on a particular piece of legislation, and some groups focused on developing “model” laws to foster more consistency across individual state actions. In general, health policy discussions were narrowly focused and limited to the immediate stakeholders with a vested interest. At the federal level, there was little discussion about significant national health policy measures—changes in Medicare and Medicaid were usually incremental and somewhat technical. David Osborne’s book, The Laboratories of Democracy, published in the late 80s, reinvigorated the concept of the state as a place to experiment, and state policy— particularly when led by governors—was thrust into the limelight. There was little hope that the federal government would step forward to solve the bigger health policy questions, and some argued that it was better to let states innovate within their own borders. Against this backdrop, a handful of states stepped into a leadership role to tackle systemic big issues such as improving access for the uninsured and controlling overall health care cost growth. The Milbank Memorial Fund recognized the unique opportunity to convene “the states that could not wait,” including Vermont, and the RSG was formed shortly thereafter. The RSG provided a safe zone for state leaders to develop common principles and practical strategies for state reform that could be readily adapted in various political and economic climates. Bringing senior legislators and governors staffs together helped lay the groundwork for constructive action when people returned home. Health reform requires thinking globally and acting locally, and for 25 years the RSG has provided the space for state leaders to bring those pieces together. 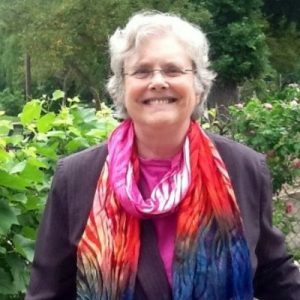 Sheila Peterson is Chair Emerita of the RSG Steering Committee—and served on the committee from 2001 to 2017. 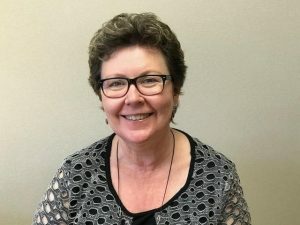 She is the former director of the Fiscal Management Division in the North Dakota Office of Management and Budget, a position she held since 1988. 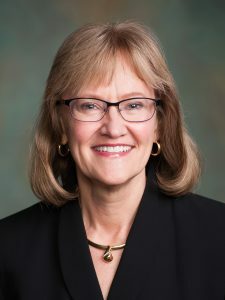 During her tenure, she developed North Dakota’s first capital budget, recommended various consolidations and efficiencies in state government, supervised staff in developing an automated budget submission system for state agencies, and guided development of the program-based performance budget pilot project for the state. For me, one of the most important efforts of the Reforming States Group was the collaborative effort with the National Association of State Budget Officers (NASBO) to create health care expenditure reports beginning in the late 1990s. The purpose of the reports was to quantify the amount of money state governments spent on health care. It is important for state policymakers to know where their state spends their health care dollars in order to make decisions about whether they are spending wisely. These were one of the first reports to comprehensively collect health care expenditures for all 50 states. The reports included a 1997 report, the 1998-1999 State Health Care Expenditure Report, 2000-2001 State Health Care Expenditure Report, and 2002-2003 Health Expenditure Report. Our work involved developing the survey instrument and defining terms, especially at the point where we added public health expenditures. We also worked with NASBO staff to gather the survey responses and review drafts. These reports have provided decision makers with the full spectrum of health care expenditures data for their respective states. As health care expenditures continue to demand an ever increasing percentage of state budgets, these pioneering reports are central to understanding the depth and breadth of state commitments to health care. To me, the “revelation” of these reports was seeing how much of the country’s health care expenditures were paid with government dollars, well over 50%. This allowed policymakers in state government to recognize that we really did need to be at the table for discussions on health care expenditures because a great deal of money was at stake. When you add up the state expenditures of Medicaid, public health, state employee insurance, and inmate health care, it is substantial—and that was our message to policymakers.